Do you remember my post about SoundCloud? 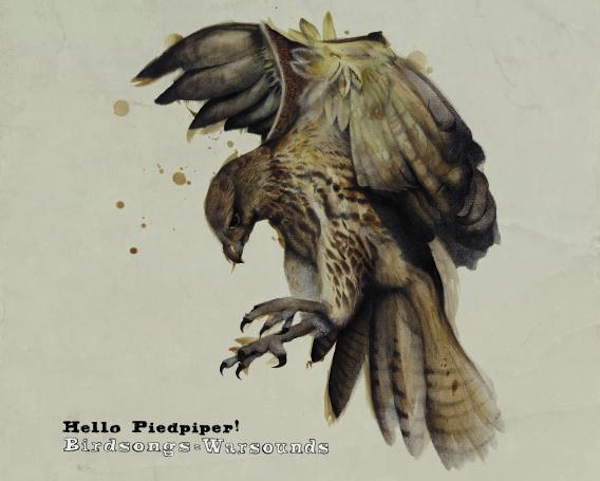 I also recommended a befriended musician called Hello Piedpiper. Fabio is going on tour through September, starting tomorrow. He will support the US-American Singer Justin Sane (Anti-Flag). Later in September he will support Audra Mae. I don’t really care for Justin Sane or Audra Mae but Hello Piedpiper is amazing. Perfect sound for the soon arriving fall. And the tour starts tomorrow in Basel, Switzerland. You can find the complete tour list below. I would definitely watch him play but unfortunately he is not coming to Sweden! Good news are also that Hello Piedpiper will publish his first album tomorrow on tour as well. It is DIY, no label, all well-chosen and self-recorded. The name: Birdsongs = Warsounds. And you can download 4 songs of this album on his facebook profile for free. Ouch. Thanks anyway for helping promote the Germany dates this month.